Yesterday I mentioned in a blog that 31 wineries are participating in the Cuvée en Route passport event this weekend. After looking through the brochure and really wrapping my head around the two different types of tastings the wineries were offering up: Vertical Tastings and Winemaker’s Selection, I decided to stop at a few wineries for some vertical tastings. My decision to go vertical was very rewarding, as it meant I could compare different vintages of the same wine produced at each winery. So, for example, at Kacaba visitors have the chance to compare their 2009 Single Vineyard Syrah, their 2010 Reserve Syrah, and their 2011 Terrace Vineyard Syrah. Vadim, the knowledgeable assistant who led me through the tasting at Kacaba, was great at explaining which parts of the vineyard each vintage came from, and any difference is style. 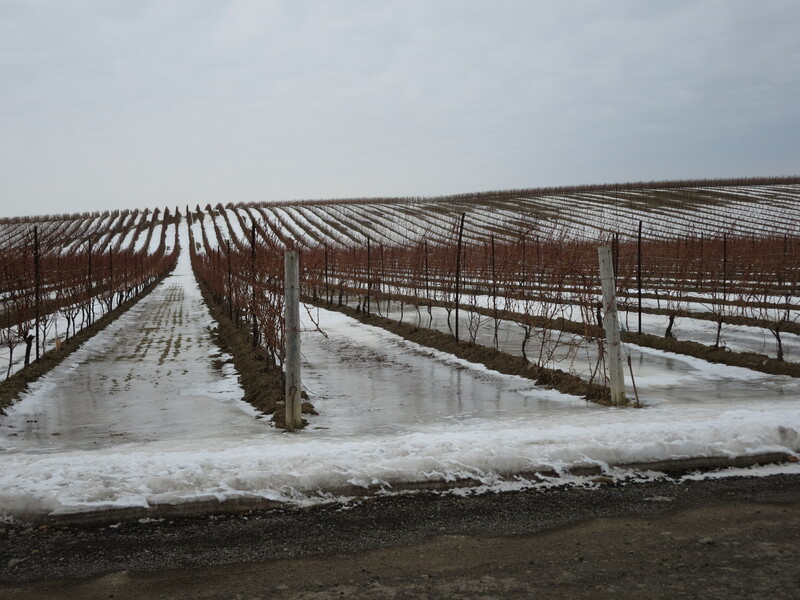 Stratus decided to feature a vertical tasting of its Petit Verdot – a varietal that is not that common in Ontario. Passport holders can taste their 2006 Petit Verdot, their 2008 Petit Verdot, and their 2010 Petit Verdot, which has not even been released yet. After pouring the three the server also provided a thick-cut slice of sausage and recommended trying it between sips. She also pointed out the colour differences, which were quite remarkable, and described how, over the years, they have varied the style of the wine. She even explained the decision to offer the sample of sausage and how striking the wine changes when sipped before and after taking a bite of the sausage. It was a terrific chance to experience how food and wine interact. Trius Winery at Hillebrand is offering passport holds a rare opportunity to enjoy a vertical tasting of its Vidal icewines, including its 1996, 2006, and 2012. Just seeing the colour differences and the differences in nose between these vintages is reason enough, I think, to participate in the Cuvée en Route festivities. 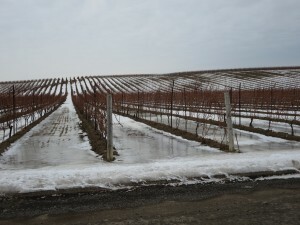 You don’t have to be an icewine lover (which I don’t mind admitting I am) to appreciate the chance to see, smell and taste these wines that are no longer widely available. These are just a few of the terrific vertical offerings available as part of Cuvée en Route this year. And, if going vertical doesn’t appeal, check out the wineries that are offering Winemaker’s Selections, many of which are featuring limited edition wines and unique varieties. Cuvée en Route continues today – so enjoy! You can find a complete list of what each winery is serving in the Cuvée en Route brochure on-line.